Why do so many people find it hard to lose weight? Recently, researchers have found overweight individuals have different bacteria in their intestines than those that are thin. What could bacteria have to do with being overweight? We know that inflammation slows your metabolism and makes it difficult to lose weight. Eating unhealthy foods or foods that you have sensitivities to can cause unwanted bad bacteria which can multiply fast and take over the good bacteria. These bad bugs cause a release of toxins that can inflame and damage the guy lining, causing toxins and other debris to leak into the circulation which creates additional inflammation. These toxins cause havoc on the body and lead to a cascade of problems. This problems can include, hormone imbalances, slow metabolism, slow thyroid, fatty liver, diabetes, obesity, bloating, acne, anxiety/depression and much more. Several studies involving humans and lab animals indicate that obesity is linked to food allergies and inflammation. In our office, testing for food allergies is one of the first things recommended for someone who is chronically overweight. We have seen many patients lose 20 to 30 pounds by simply cutting specific foods from their diets. A 46 year old overweight woman under our care had eczema, irritable bowels, hypothyroidism, joint pain and weight trouble which are all caused from inflammation. She had tried diet and exercise and would sometimes lose around 10 pounds but never felt good. Blood testing revealed she had food sensitivities and high levels of inflammation. We developed a plan for her to follow and she eliminated the foods that were causing sensitivities. She was given a specific blend of probiotics and herbal blends to restore the gut walls as well as a product to reduce overall inflammation. She lost 29 pounds in 3 and a half months!! Her eczema, irritable bowels and joint pain all subsided and her primary care actually told her she no longer needed her thyroid medications. We know that testing for food sensitivities and hormone imbalances should be considered for all individuals looking to lose weight and become healthy. A healthy gut goes a long way. It is clear to fix your overall health you must first start be fixing your gut. Once this is accomplished most patients see a dramatic change in their fatigue levels, notice healthier ski, less joint pain and clearer thinking. In addition to those physical improvements reducing inflammation reduces the risk for heart attacks, cancers and heart diseases. Three steps to decreasing inflammation and losing those stubborn pounds. 1. Try eliminating common food allergens such as: gluten, dairy, eggs, corn and peanuts. 2. Eat a whole foods, plant based, high fiber diet. This helps to reduce the amount of bad bugs in your gut therefore reducing overall inflammation. 3. Seek help from an expert in this area to identify exactly what your body needs. 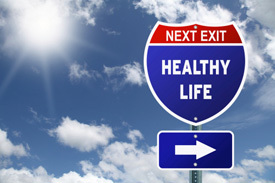 If you have any questions or would like to meet with someone to get your health back on track just call 636-978-0970 or go to www.ConnectWithWellness.com to request your appointment.